What it takes to get the mortgage approved? Mortgage Insurance Vs. Life Insurance. Bad Credit! You can still get a Mortgage? Bank Refused, Bad Credit, 2nd Mortgage, New Immigrant, Outstanding Debts, Bankruptcy, Credit Proposal, CRA Tax Pending, Collections I Will Get You Money. There is a Lender for every application. Looking for a Mortgage Broker in Toronto? I have 99% approval rate for mortgage. No matter what your situations is I will make sure your mortgage is approved. I work with many different lenders on a day to day basis for all my clients, and have an access to Best Mortgage Rates and deals. It will be my pleasure to serve you for your mortgage needs. Call me on 647-622-6564 or please let me know your number and I will call you at your availability. You or anyone you know need a mortgage please tell them to call me. Refinancing? lower your monthly installments. I will get the best lowest rates for you. You will not get the best rates from your bank, they will never give you their best offer because they want to make money from you. As you are not aware of other offers in the market from different lenders. But they will give Amit the best interest rates because banks know that Amit has many lenders working with him and Amit will never take their product till he shops around from all lenders till they give him the best offer. Amit knows how to shop for his clients and how to bring lenders on their knees for best Interest rates and mortgage product for his clients. I can get you a mortgage. Many home owners were rejected by bank just because they had a bad credit they came to my office and today they are home owners because we get them approved. Don’t shop around come to the people who can get it approved. I can get your mortgage approved. Yes your mortgage can be approved. Most of the self-employed are rejected by banks and financial institutions and in today’s market where mortgage rules are tighten by the finance ministry it is becoming hard for self-employed to get a mortgage. I will strongly suggest do not go to the bank chances of rejection are very high even if you get it approved you will not get the product that will be best for you bank will sell you the product profitable to them. May be high interest, tough conditions, heavy penalties etc. Call me I have many lenders who are ready to lend their money to self-employed you will get the best offer and lowest interest rates. Don’t go to banks they might reject your mortgage application. Amit works with many lenders that wants to finance to new immigrants and have many different mortgage products that suites the need of new immigrants plus the lowest rate mortgages. If someone tells you as new immigrants you can’t get a mortgage don’t worry call Amit he will say you will get a mortgage. Don’t push yourself to the verge of your health, you are a very important person for your family and friends. Why to burn yourself in stress when you have many options. Talk to Amit he has several options to pull you out from this financial mess. And restart you new financial freedom and good life. Must have your own home or own a property. Want to upgrade your home? Want home equity line of credit? Amit has a Special Product for you. There are many products in the market but Amit has few lender that offer the credit limit of your loan to value that can be adjust with you mortgage payment. Means whatever you pay your mortgage installments the principal of your amount become available in your home equity line of credit you only pay the interest whatever you use in your line of credit. Many lenders are willing to give mortgage to people with Bad Credit. 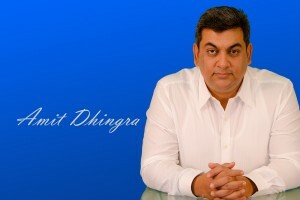 Yes you can have a mortgage with bad credit, Amit Dhingra works with many lenders that are willing to give mortgage to people with bad credit his approval rate is very good. Must have an income to support the mortgage payments, Call Amit on 647-622-6564 and get your mortgage approved. Nice very good you have great information . Copyright © 2019 Mortgage Dollars.Ca in Toronto.